of the following who gave their lives in the Great War. 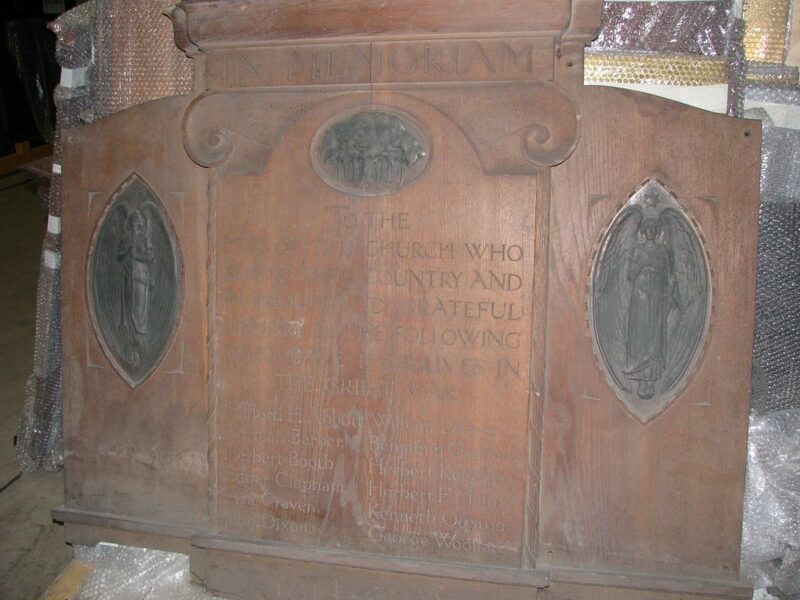 This memorial is stored with Cliffe Castle Museum and might be the Devonshire Street Congregational Church memorial. The church building was demolished in 1964. Fate of memorial unknown. Names on memorial: Died 12. Craftsmen: Mr Ernest Gill, designer.